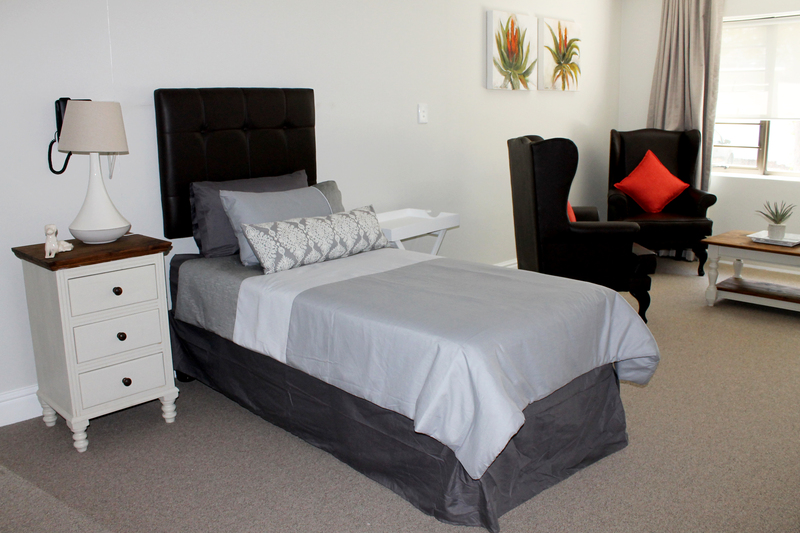 Vine Manor offers 13 Assisted Living Suites situated within the Care Centre and offers spacious furnished rooms, with an en-suite and direct access to all medical facilities within the Care Centre. This includes all daily meals, medical checks, carers on duty, weekly housekeeping, linen and laundry services. The Care Centre has a welcoming design to promote interaction between residents by means of stylish lounges, dining areas and braai room. Vine Manor offers 5 Frail Care Rooms, each with 2 beds, and offers 24/7 care by trained staff. This includes all daily meals, medical checks, weekly housekeeping, linen and laundry services. Admission to the Frail Care Rooms is subject to a confidential vetting process whereby each Resident’s or External Patient’s medical condition will be carefully evaluated. Cost of high-level care will be determined by a clinical assessment and hours of nursing care required by the individual. Patients admitted on medium-level care may have to be changed to high-level care if their health status changes. – 10% discount on wine purchases from the tasting centre. – Complimentary wine tasting (limited to 4 pax). – 10% discount on meals in the restaurant and picnic baskets. – 10% discount on accommodation (Country Inn & Cottages). – Discount on the conference facilities. – 10% discount on full day or evening spa at Bakwena Spa at Zevenwacht. – Preferential purchasing opportunities for newly released wines. – Client focused approach through superior service levels which exceed client expectations.